The EAB series modular AC power source supports linked connections for up to three sources. The flexible design easily meets all power demands through a range of combinations. 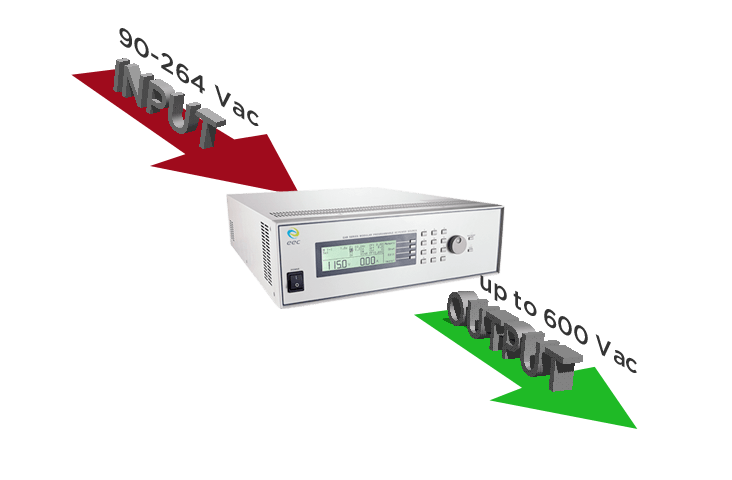 Not only can the power source expand wattage and simulate a wide variety of power utility systems, it can also increase maximum voltage output. Most importantly, the modular connection setting is easy to use by anyone, even those with limited technical expertise. 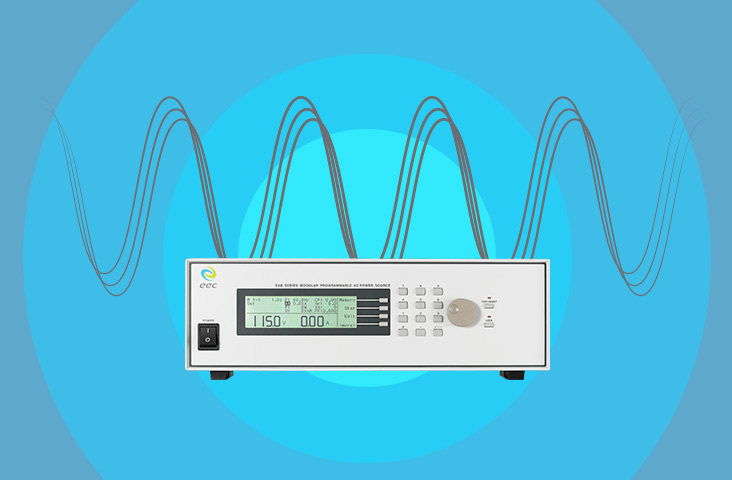 Synchronic signal output (OFF/ON/EVENT) functionality provides a useful tool for external monitoring, triggering use, and power analysis. 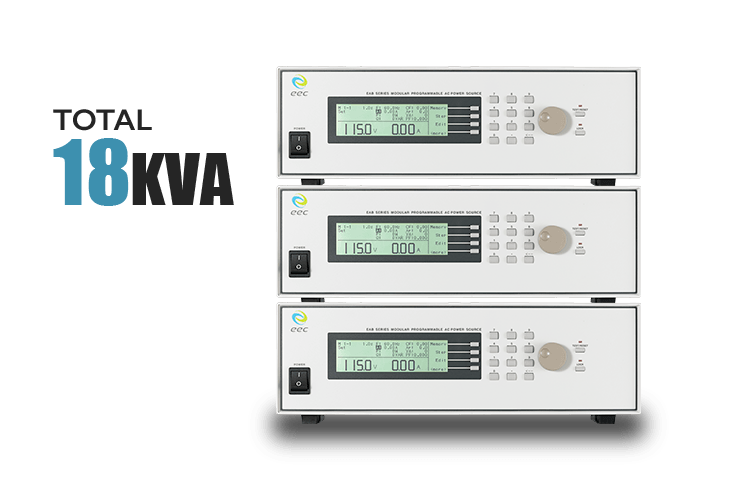 The series supports a maximum output voltage of 600Vac and a universal full range input voltage of 90-264Vac. 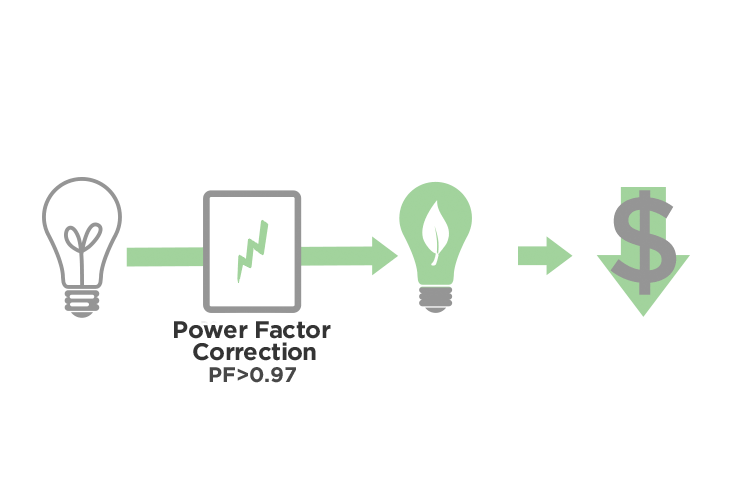 Built-in active power factor correction (PF>0.97), that is efficiently make electrical power converted into useful work output, consuming less power, more energy saving. 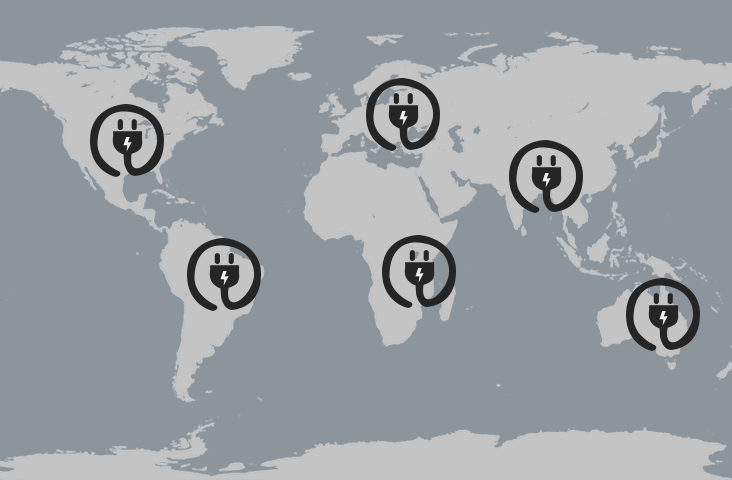 Up to three (3) power sources can be linked simultaneously to increase power capacity for maximum capacity of 18kVA (6kVA x 3), making the series an excellent solution for future expansion to meet evolving business needs.